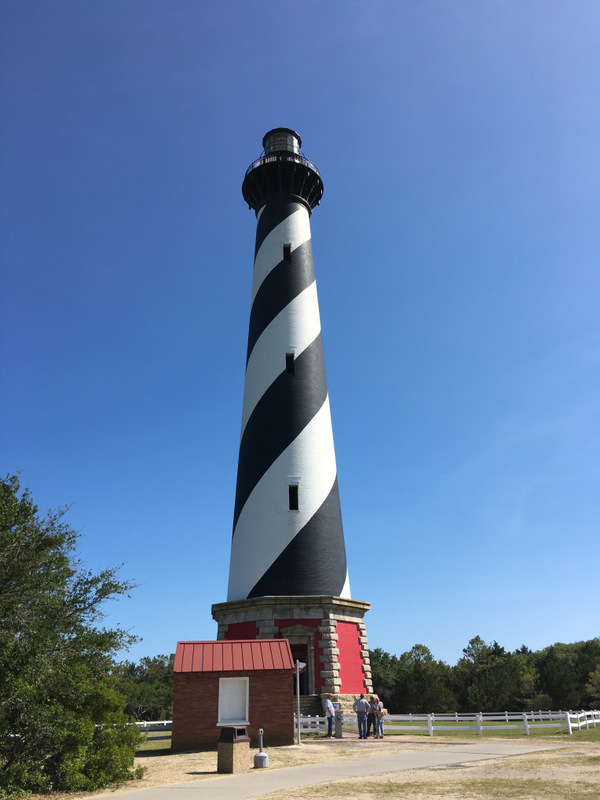 North Carolina’s Outer Banks are a great place to visit in an RV for a few weeks, or even a month if you have the time! There are campgrounds throughout the islands at a variety of price points and this incredible 200-mile string of islands is an extraordinary place to experience nature – the area is even known for wild horses! Plus, there are great foodie options as well (like these great places for frozen custard or ice cream). The islands aren’t more than three miles across from sound side to ocean side (see amazing aerial photos here). But you’ll find everything from fishing to birding to swimming and kite-boarding here, plus great historical places. The history runs deep, so you’ll find stories from history books as well as locals wherever you go. The area’s location also makes the islands extremely vulnerable to challenging weather. Historically, lighthouses were built to prevent shipwrecks, so those are great to tour too! An interactive map of the Outer Banks, available at https://discoverymap.com/outer-banks-nc. Manteo is honestly one of the best places to dig deep if you enjoy history and/or mysteries. The island was the home of the Roanoke Colony, also known as the Lost Colony. 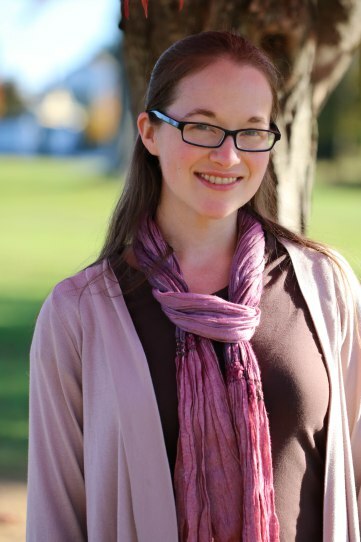 Before the thirteen colonies existed, this would have been England’s first colony. Hundreds of men, women and children attempted to make a life here, with some assistance from the Native American population. What happened to the colonists here remains an unsolved mystery, although there are solid theories. So grab a book, watch the play of The Lost Colony, and most importantly visit the national park that houses a fabulous visitor’s center, Fort Raleigh Historic Site, and the can’t-miss Elizabethan Gardens. Manteo also has a charming downtown with a beautiful waterfront to explore. It’s the closest you’ll get to a city feel in this area, reminding me of a New England city on the water. Be sure to stop in the Bluegrass Theater shop for more free exhibits about the history of this area, including communities that have since been lost to history. It’s not every day you visit an island. Particularly an island that requires a ferry to visit it. Ocracoke is one of those islands, and if you’re traveling from the island north of it, the ferry to visit is free! Timing the ferry is tricky. It is advised to take the earliest ferry possible, allow a little over an hour to get across, and not be in a rush to return. On the way over it was full of commuters, and on the way back it was tourists, so take your time and enjoy the ride. Also be prepared to babysit your car to keep it safe from people opening doors or running around. Once you brave the ferry, you’ll have a full range of activities to fill your day with. The National Park Service cares for the wild horses. They used to be truly wild on this part of the island, but for their own protection they have barriers from people now. I also recommend a visit to the Preservation Society and Museum and the site of Fort Ocracoke. The museum is excellent, especially the video on the Ocracoke language and dialect. The Working Watermen’s Exhibit is another free glimpse into the local history and culture, as is the cemetery, and there are some really fun shops, particularly the amazing Books to Be Read, a true standout anywhere for their selection and variety. Of course, many people rave about the beaches, some saying they’re the best in the world – so be sure to pause for a beach visit while you’re here too. Be sure to bring your bug spray as well. Even in the sun, this island is significantly buggier than expected. But Okracoke is a fascinating glimpse into what’s almost another time and place, and it’s a beautiful day trip. Stick around into the evening and you’ll have some fun dining and entertainment options too on many nights of the week. Apparently fresh, made-to-order donuts are a thing. This area has a few options, but Donuts-on-a-Stick is the best. Need a gluten-free or vegan donut? Come here for an outstanding one. (But call a day ahead to reserve it as the vegan and gluten-free are not made on site.) Donut sundae, with their homemade chocolate chip or vanilla? Yes, please! While donuts should be on your list, don’t miss the rest of the town! There’s a phenomenal walkway along the sound that connects you to everything from an adorable chapel to shopping to free yoga and music during the summer. This would be a great place to base your vacation. It puts you within walking distance to both the beach and all sorts of other fun stuff. Making a day trip from another part of the islands? Get there early to park and plan to walk around. Traffic here is pretty crazy! The history is everywhere on the islands here! Start with the Graveyard of the Atlantic Museum. This museum houses some of the most professional, polished exhibits in the area. On a given visit you might learn about shipwrecked boats, local naval history, the history of scuba diving or the history of the local lighthouse. This is the most comprehensive source of much local history, and since it’s FREE, it’s well worth your time to visit. 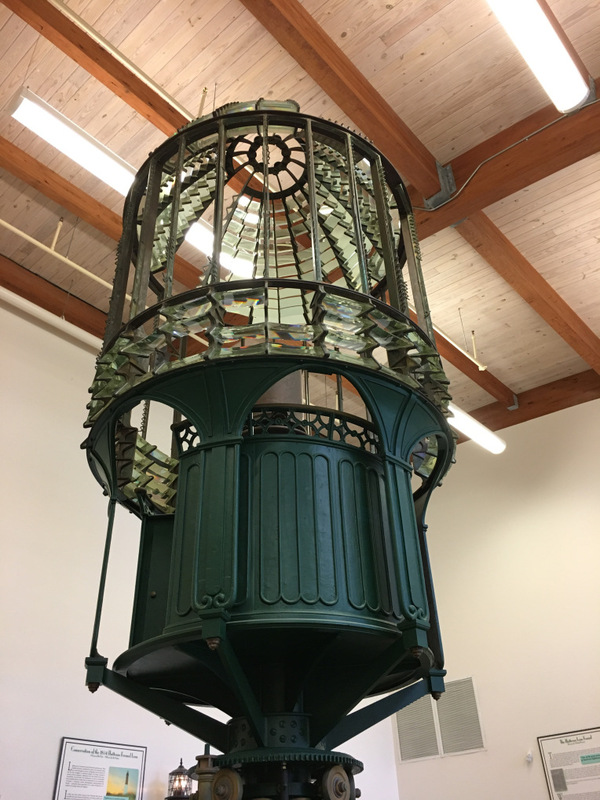 The Graveyard of the Atlantic exhibit includes this original Fresnel lens from one of the Outer Banks lighthouses. Picture courtesy of RossAndJamieAdventure.com. Other must-sees for history lovers are the Wright Brothers Memorial in Kitty Hawk, the Life-Saving Station Museum (small but truly exceptional, although best if you are mobile enough to climb to the top floor), and the island of Corolla. Pirates enthusiasts will find plenty to enjoy on the Outer Banks too. 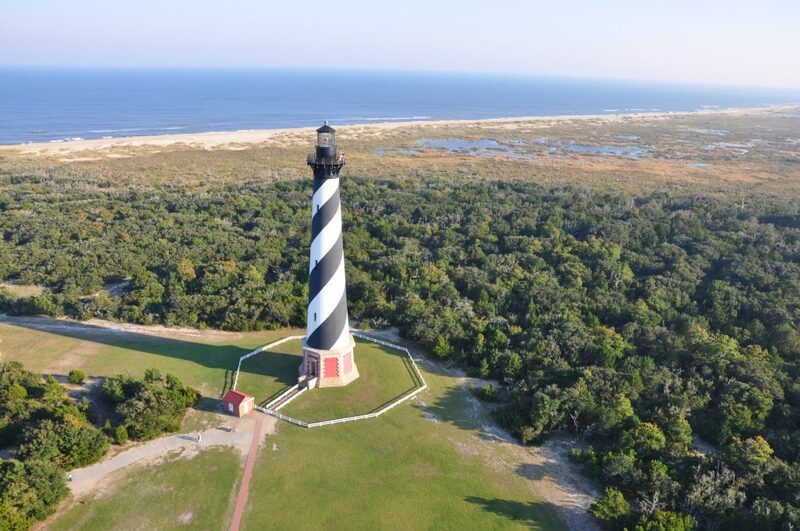 There are four beautiful lighthouses – plus a baby one – with lots of history to them on the Outer Banks. You can walk to the top of all but one of them. I’ve enjoyed discovering the history of them here. As mentioned, there are tons of campgrounds across the span of islands. Although this is definitely a touristy spot, so be prepared to pay big bucks for camp sites, especially in June and July. Camp Hatteras is a top recommendation. 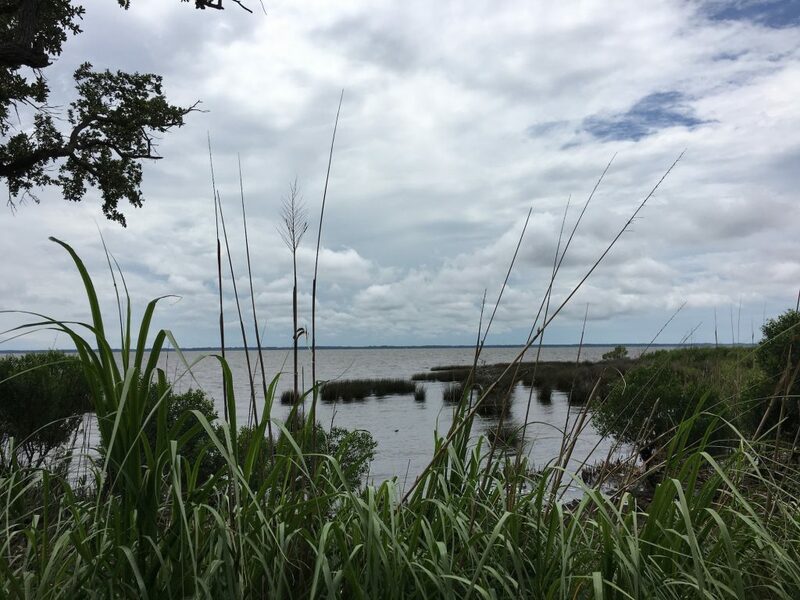 It has both beachside and soundside camping, for those who want a central location to see everything from Ocracoke to Manteo to Duck. Oregon Inlet National Park Campground is popular for those less focused on amenities than on camping in nature. If you’d like the north end of things near Corolla (a twenty-minute boat ride away), Bells Island Campground looks beautiful and peaceful. There are some great RVs available to rent for your Outer Banks adventure, so visit Outdoorsy to rent your RV. This Bounder will sleep six, and this Westfalia is great for those on a budget. And if you have a tow vehicle, consider this trailer.